Kinne IP Group provides counseling on the availability, validity and enforcement of intellectual property rights. The firm also provides written opinions of counsel, where appropriate, and often receives referrals from outside law firms who know we provide objective, thorough advice. 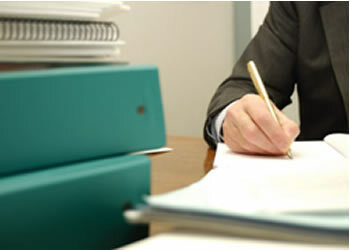 We also provide general counseling on intellectual property programs for corporate clients. Written opinions of non-infringement or invalidity have long been relied on as a defense to the charge of willful patent infringement, which can expose a client to an award of treble damages and/or attorney fees. Recent case law has changed the standard for proving willful infringement, and some have suggested that written advice of counsel is no longer as necessary as it once was. But written advice of counsel still plays a valuable role in patent litigation. If objective and thorough, an opinion obtained from an experienced patent lawyer can help establish that a client acted in good faith, exercising care to respect the valid rights of an adversary. Moreover, the lawyer that prepared the opinion may become a trial witness. Selecting the right person to provide such valuable counsel is vitally important.